If you want to backpack in Taiwan, you can register / buy / download the things to easy you travel in Taiwan . Register as a member of Youthtravel. 凡是 15 - 30 岁的青年都可申请. 你能用这个卡得要许多的优惠. 不错用! All 15 - 30 year old youth can register yourself as a member. 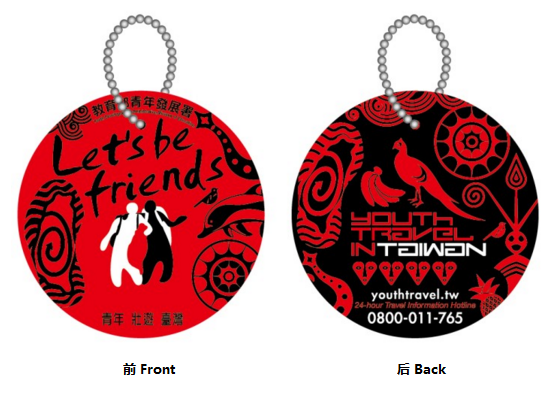 You can use this Youthtravel card for some discount over taiwan. For example some discount in food or bicycle renting. c) 请记得带证明年龄之身分證件（国內青年出示身份证、健保卡或駕照、国际青年出示护照或外僑居留证）Need to bring Passport or IC for your age prove. ** If you loss your Youthtravel card, you can fill up the form again at the place you register, and they will give you a new card again. 是一张很好用的卡，像是你能用你的悠遊卡搭捷运 / 公车可享有车费8折优惠哦， 也不会浪费时间排队买票. 这卡也能用在7-11， Family Mart 或 OK Mart 等来买东西. Easy card is very useful. You can use it at any metro station or buy. The fee for transport will must more cheaper compare you buy on the spot. It also can use in all the 7-11, family mart or OK mart shop to buy things. If you want to reload, you can go to any metro station, 7-11, ok mart or family mart. The minimum top up is about TWD100 or more. You also can return the easy card if you do not use anymore. If you use less then 5 time, they will charge you TWD 20 for return fee. If more than, they will return you all the amount in the Easy Card. If you need to know more information, you can click here. TPE-Free is free wifi provided in Taiwan. You can register it for free and use it in taiwan when every there is a iTaiwan wifi signal. If success register, you can access the wifi for free at any place such as metro station, or train station. ** Recommended register 7 day before you come to taiwan. Dont register too early. Buy telephone card at 7-11 or at Airport you ask the person for the phone package.